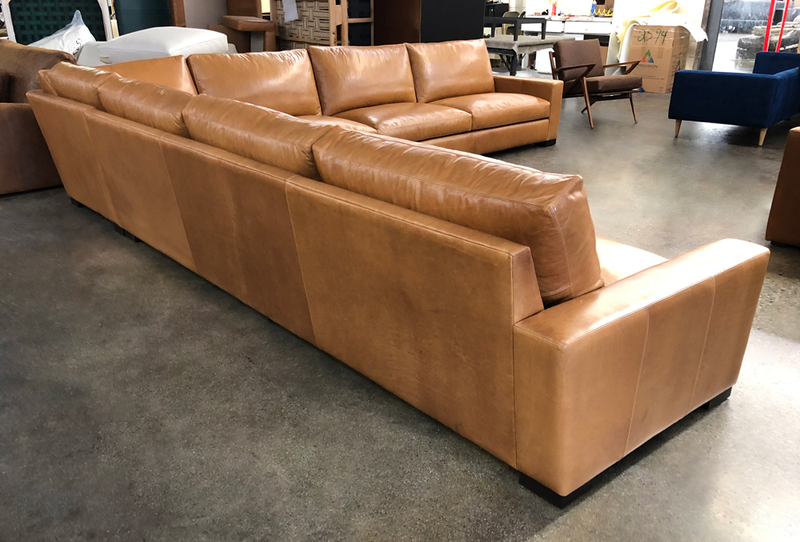 It is probably safe to say that this customer will have enough seating with this customized Braxton Grand Corner Sectional. Starting with the already substantial dimensions of 133″ x 133″ (43″ depth), this sectional was then customized with 25″ extra length added to each side, for total overall length of 168″ x 168″. 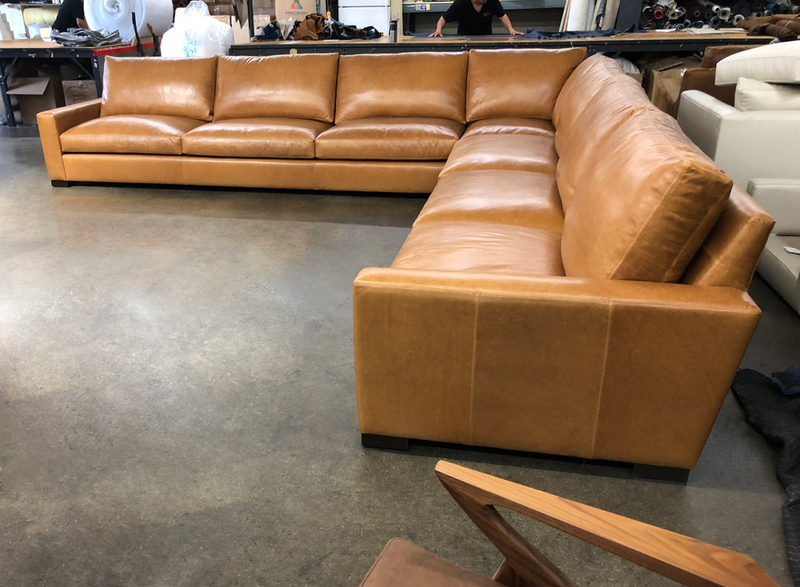 This client selected Italian Glove Chestnut for the leather, which features all of the natural beauty of Full Grain leather and is Aniline dyed in a light saddle/chestnut color. 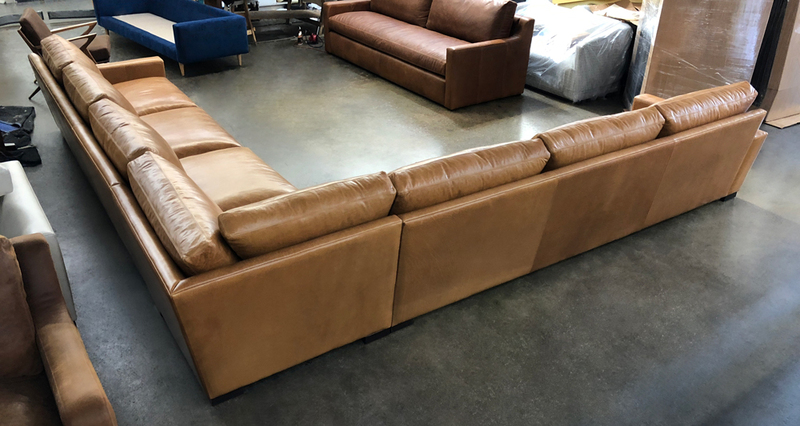 This Braxton Leather Sectional was made in the 43″ overall depth, and was customized to be delivered in 3 pieces (RAF Sofa + Corner Wedge + LAF Sofa). 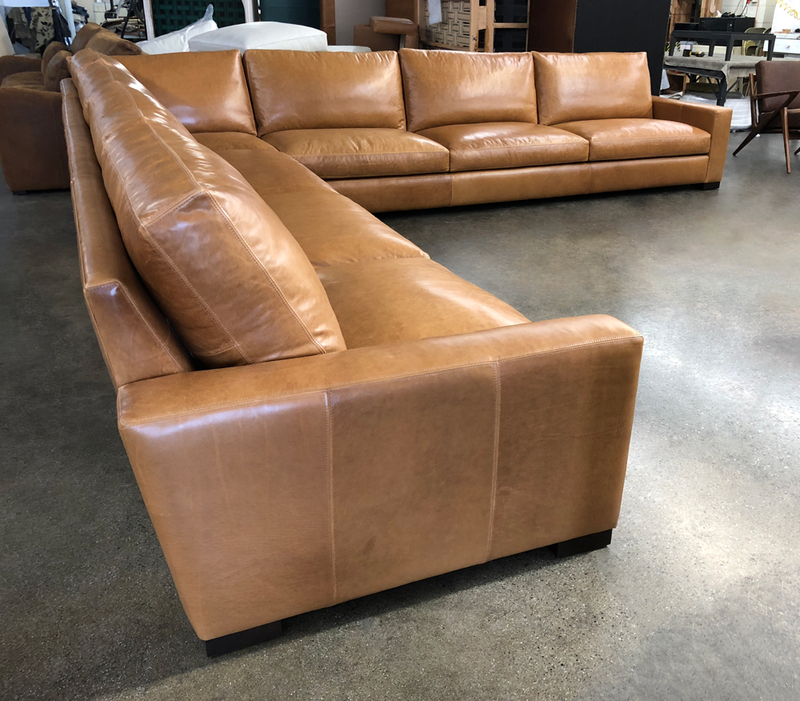 This entry was posted in Braxton, Custom Leather Order Feed and tagged 43" Deep, braxton collection, braxton grande corner sectional, braxton sectional, Glove Chestnut, Italian Glove Chestnut, No Ears on August 27, 2018 by LeatherGroups.